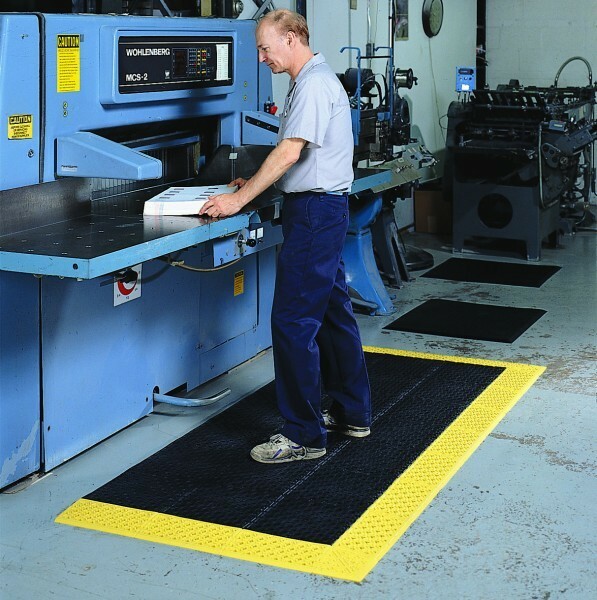 Cushion-Lok Mats - Industrial Floor Mats | Mats Inc.
-- Please Select --7/8" x 30" x 36" 7/8" x 30" x 48" 7/8" x 30" x 60" 7/8" x 30" x 72" 7/8" x 30" x 96" 7/8" x 42" x 72" 7/8" x 42" x 96" 7/8" x 42" x 120"
Tough PVC workstation mat intended for wet environments where resistance to harsh chemicals is necessary. 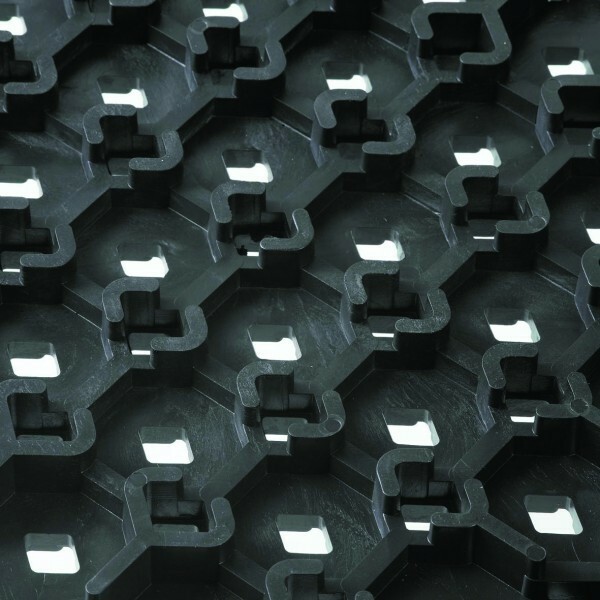 Cushion-Lok mat has hundreds of holes to facilitate drainage while the worker is elevated on blades to increase traction. 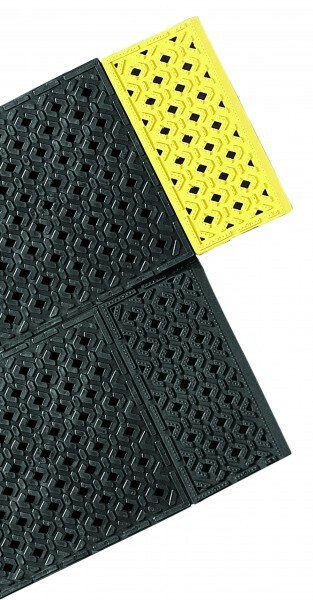 Six inch wide diamond studded beveled ramps are permanently attached on three sides for worker safety. Safety Yellow edges standard, Black edges available upon request. Custom sizes available, call Customer Service for pricing. Color: Black with Safety Yellow or Black Bevel Edge on three sides only.